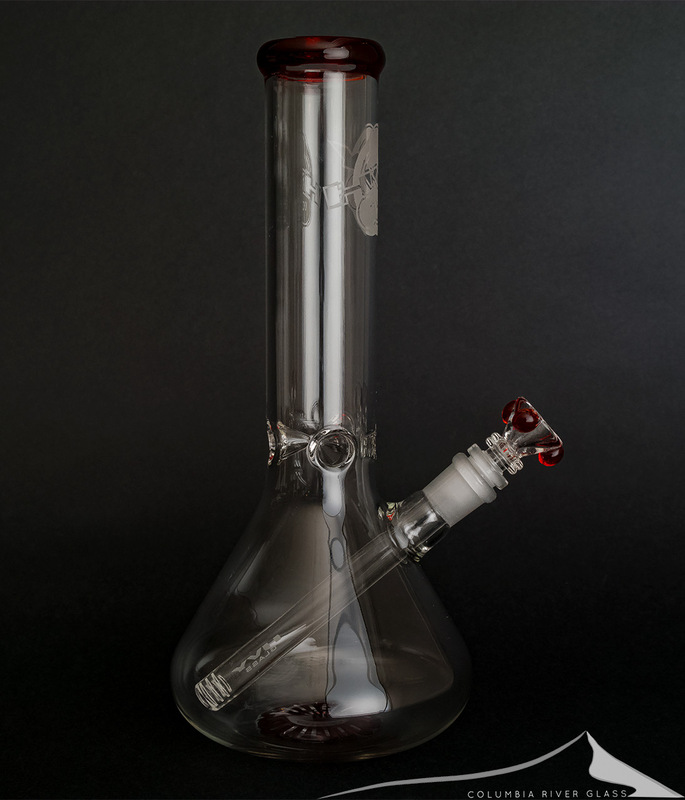 A classic beaker bong from HVY Glass out of California. Bright red accents add a bit of color that look great. 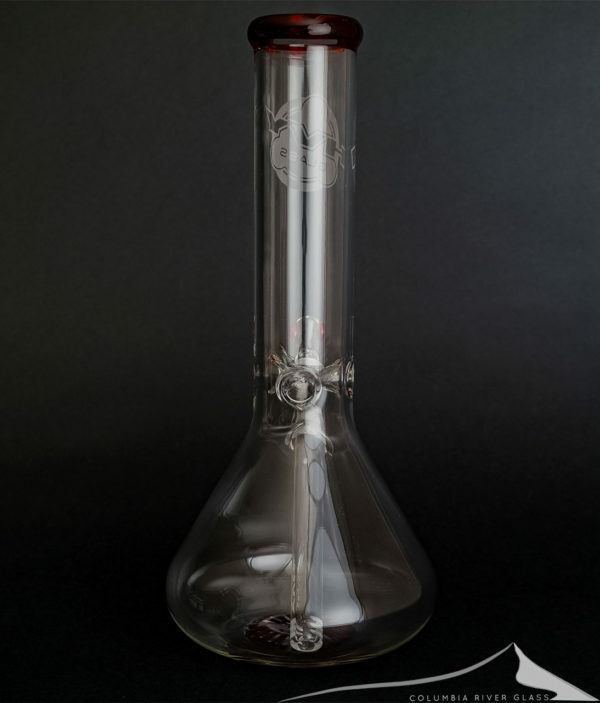 A slotted stem adds to function, and ice pinches make it easy to stack ice in the neck – an iced bong takes cooling down and smoothing out your draw to the next level. 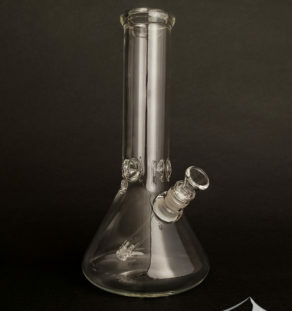 HVY Glass is sand blasted into the tube. Thick 5mm tubing makes for a study bong at 12.5 inches in height, as you would expect from “Heavy” Glass. Yet even with 5mm thickness this comes in at 1.5 pounds dry so it’s light in the hand. There’s a red boro flower on the base of this too. The flower bowl with red highlights is included. Beautiful work from HVY Glass!